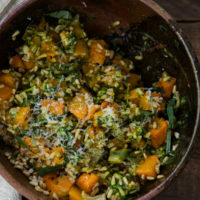 Pesto Butternut Squash with Oats | Naturally. An easy and delicious whole grain butternut squash salad with fennel and pesto. A great side dish or picnic salad! Heat a pot over medium-low heat. Add the oat groats and toast for 2 to 3 minutes. Cover the oats with 2 cups of water. Bring to a boil, reduce to a simmer, and cook until the oats are tender; 45 to 55 minutes. 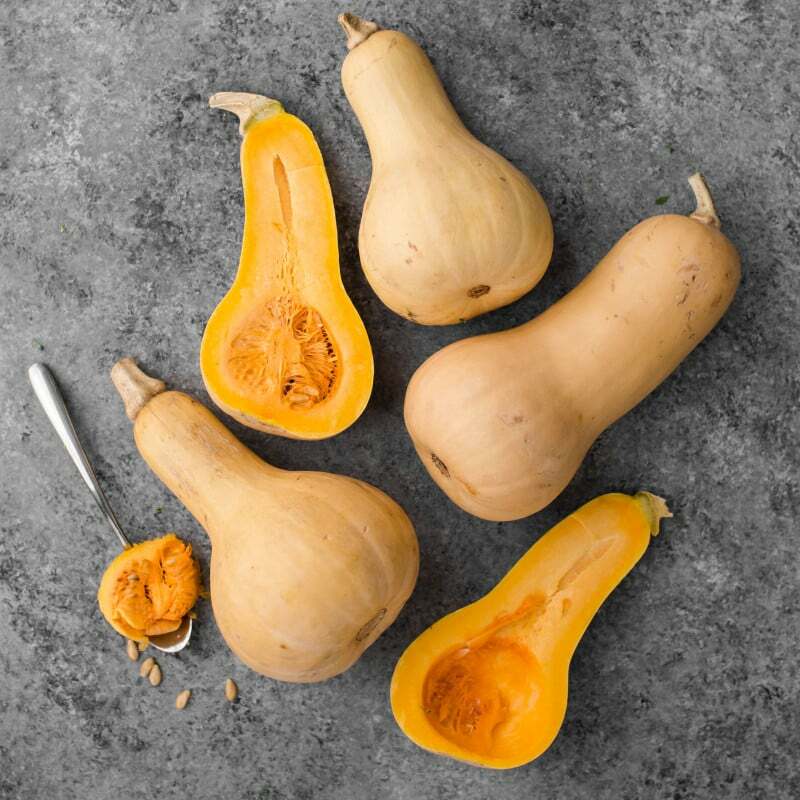 While the oats are cooking, peel and cut the butternut squash into ½” cubes and the fennel cored and chopped into ½” sized slices. Place on a roasting pan with olive oil and salt. Toss to coat. Roast until the squash is tender; 30 minutes or so. 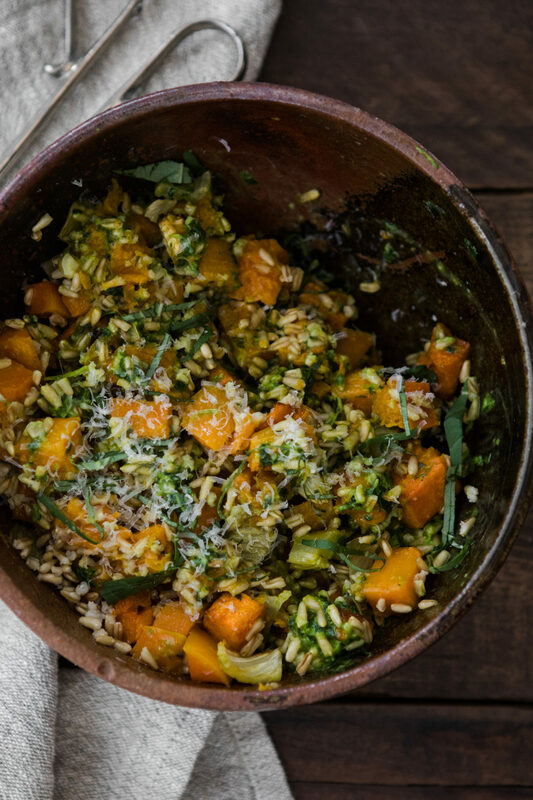 When the oats and squash are done, place together in a bowl along with the pesto. Toss until everything is well combined. Grate parmesan on top before serving. Serve warm or save and place in the refrigerator to serve as a cold salad. Tips + Tricks: You could make this recipe ahead of time by cooking the oats and roasting the squash. If you want to serve it warm, gently reheat the grains and stick the squash back in the oven until warm. Vegan: Drop the cheese from the pesto and the topping. Sweet Potatoes: Swap out the butternut squash for sweet potatoes. Grains: Use any hearty grains in place of the oat groats. Farro, Spelt, or sorghum are my top choices for replacing the oats. Yummy and Delicious salad! Just love it. Butternut squash always my favorite, thanks for sharing!